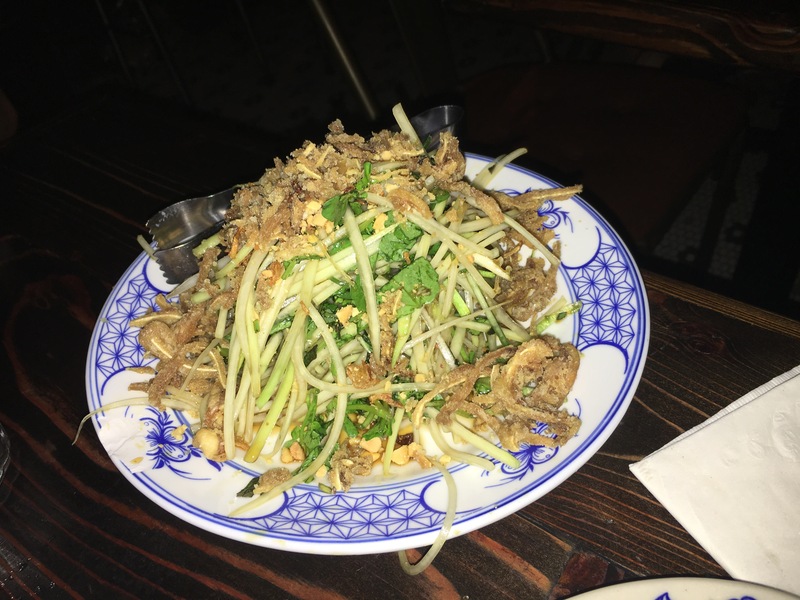 I love Vietnamese food and with all the hype and raves Hanoi House has received it was about time I got around to trying it out. It lives up to the hype with some very tasty dishes. Their Pho really stands out and make sure you save some room for their Che Sundae. They have a small yet nice selection of Craft beers, I went with Three’s Brewery’s Saison. 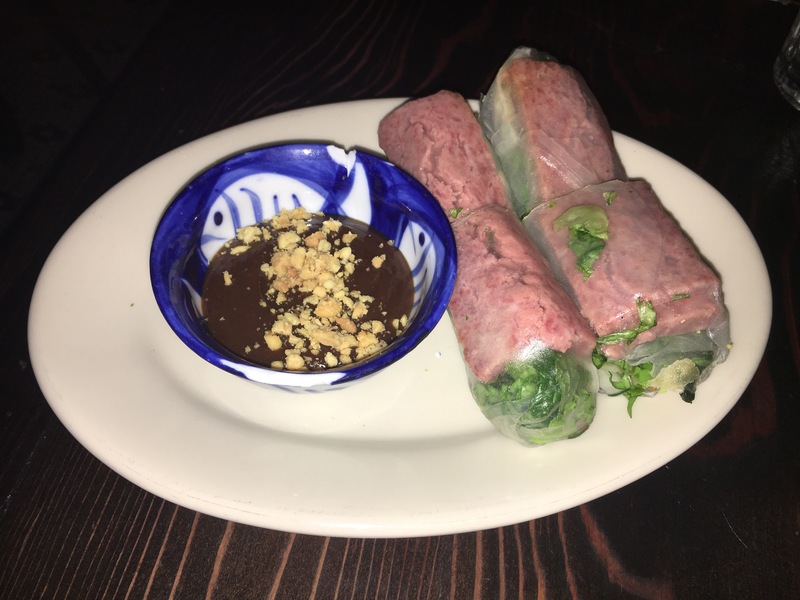 I almost always start with Shrimp Summer Rolls, but at Hanoi House they use sweet pork sausage rolled with mint, thai basil, crispy wonton with a peanut hoisin sauce dipping sauce. I have to admit Pig Ears didn’t exactly entice me…but when told to think bacon I gave their Papaya and Crispy Pig Ears a shot. Turns out as long as you enjoy Papaya salads this mix of the aforementioned ingredients along with watercress, cucumber, toasted peanuts, and shallots in a sweet soy based dressing was pretty tasty. 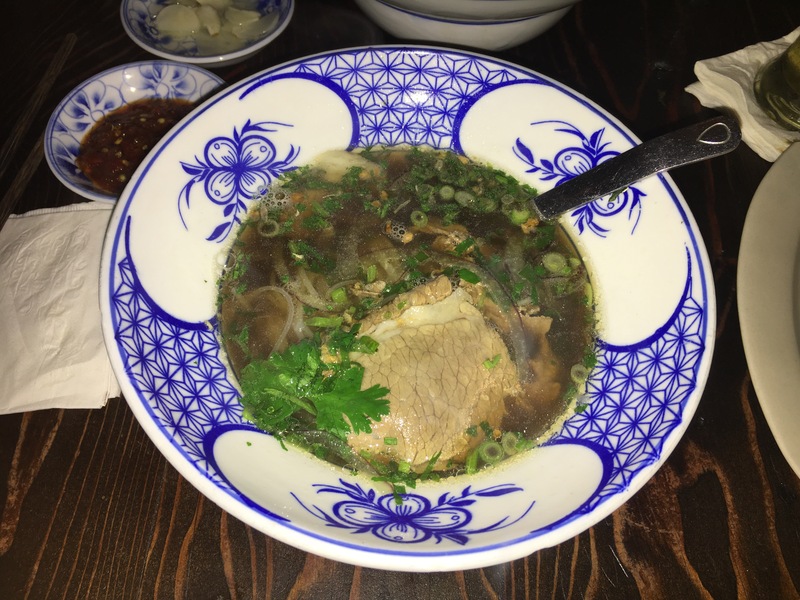 Their Hanoi Style Pho featuring a sixteen hour broth with heritage Black Angus filet mignon, brisket and rice noodles was much richer than most I’ve had. To go green and be healthy and live up to my words to an ex-GF…that yes in addition to all the Ice Cream and sweets I write about I eat a lot of Greens. We ordered up the Morning Glory, Water Spinach bathed in brown butter fish sauce and garlic. For desert, hey they have an Ice Cream desert they get rave reviews for, thus in the name of Science I tried their Che’ Ice Cream Sundae. 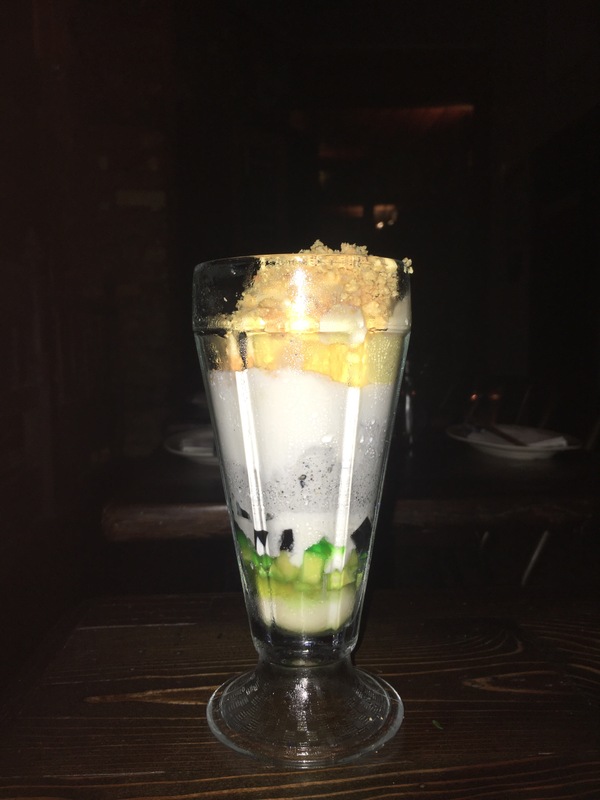 It layers Condensed Milk and Coconut over Black Sesame Gelato with crushed peanuts, candied ginger, jelly candies, and lychee fruit. Though sounds a little odd it’s pretty tasty. I would definitely add this to your Vietnamese and Desert spots to hit lists. Hanoi House is located at 119 Saint Marks Place. 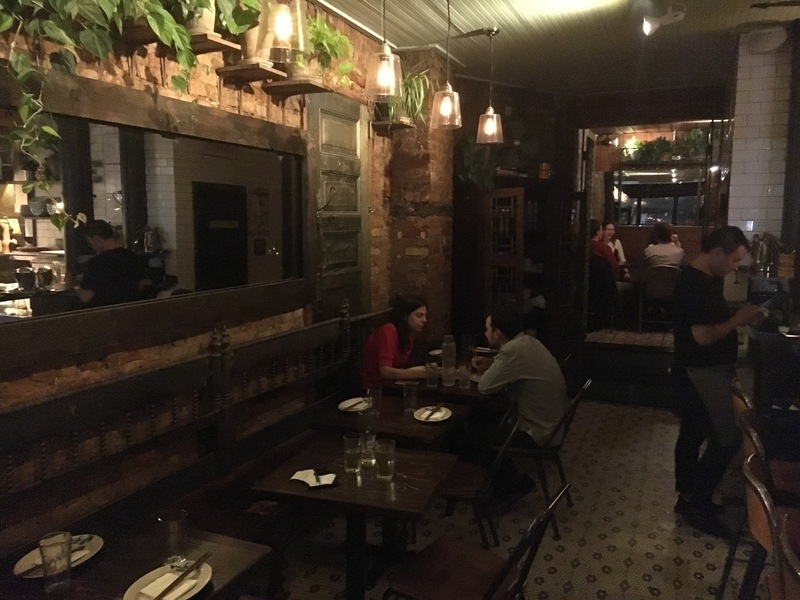 Posted by Hunter on September 28, 2017 in Beer, Craft Beer, Dinner, East Village, Ice Cream, Sweet Treats and tagged Hanoi House, Ice Cream Sundaes, Pho, Vietnamese.